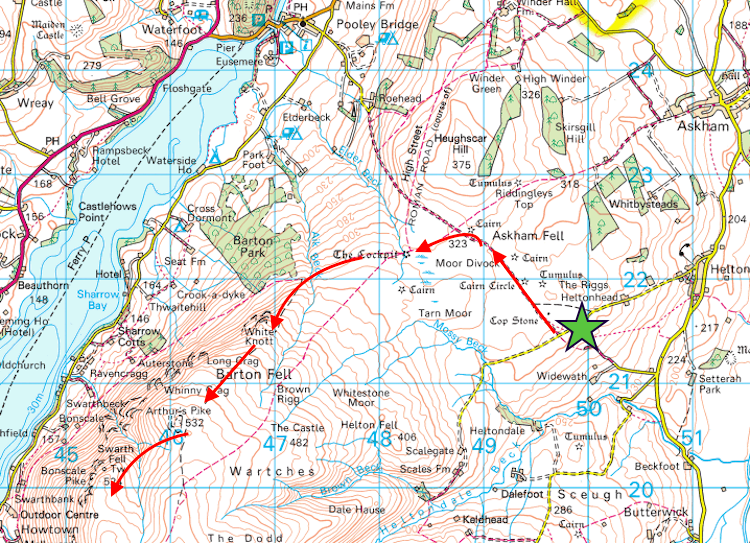 From the start point on the map to our house is about 4 miles as the crow flies, so we haven’t had to travel any great distance before we could get today’s walk under way. 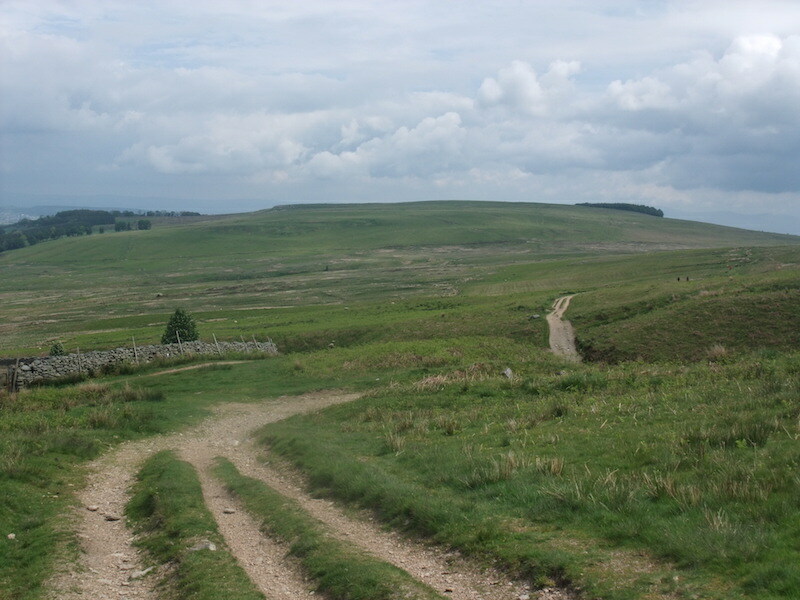 As you can see its not a brilliant day as far as the weather is concerned but its not too cold, there’s a lot of cloud, but its high enough not to be threatening rain, and so here we are, making our way across the open moor with Heughscar Hill over on our right. 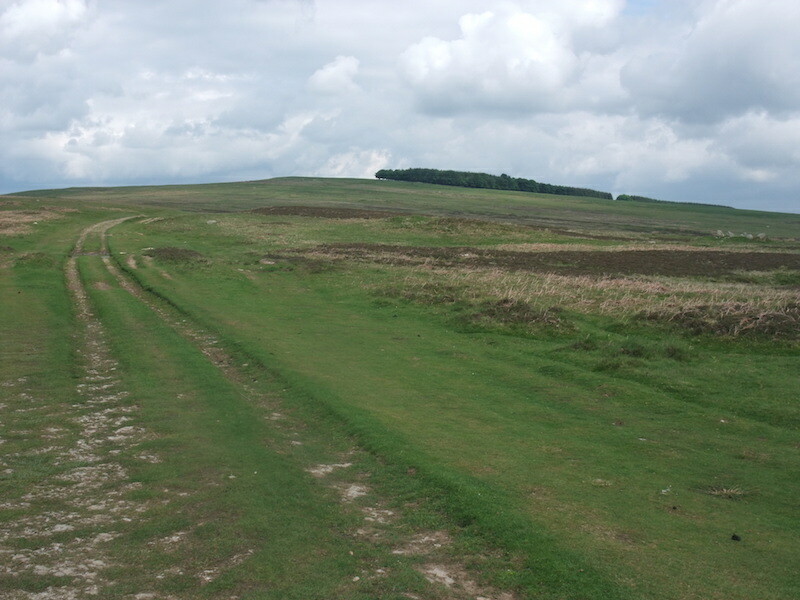 This area must have had some great significance in the distant past as it is peppered with all sorts of ancient stone markers. 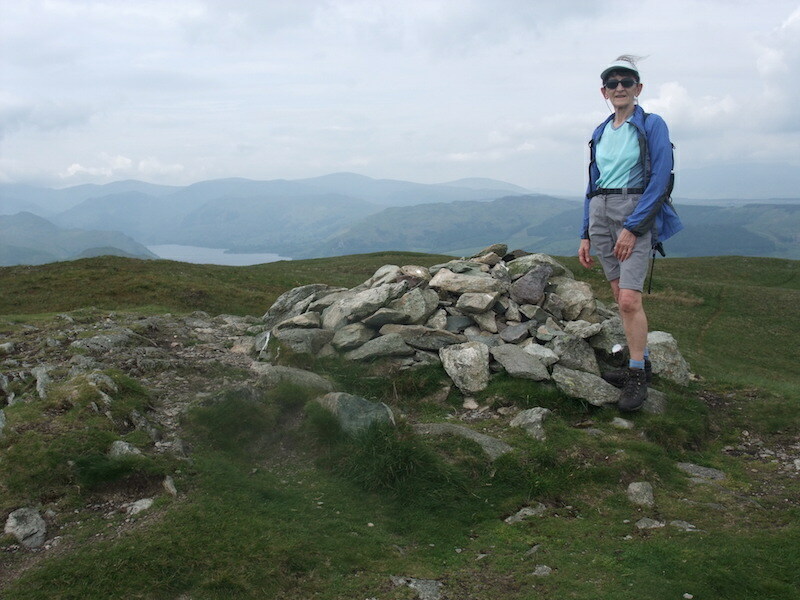 The path we started out on eventually meets up with others coming up from Roehead and Askham and continues on to The Cockpit, an ancient stone circle, whose origins and uses remain a mystery. 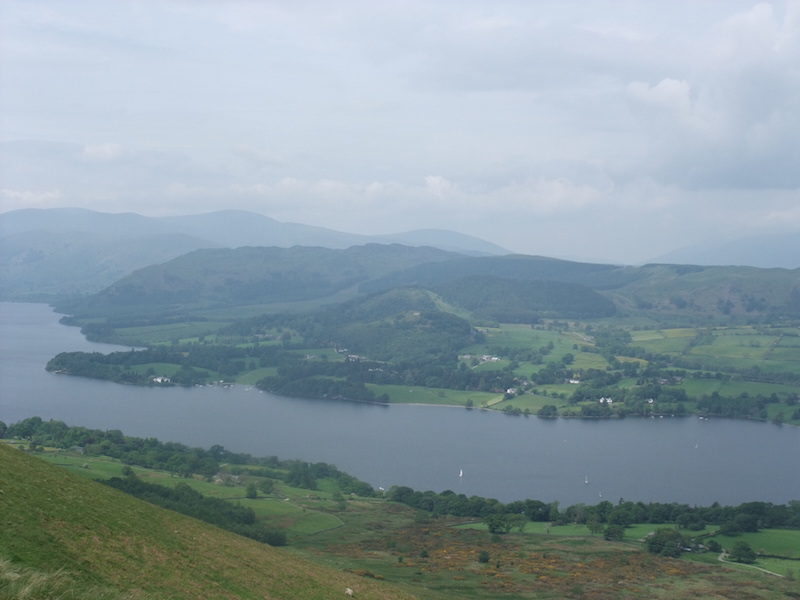 From the stone circle the path splits and we take the left hand path over Aik Beck and on up to Arthur’s Pike. 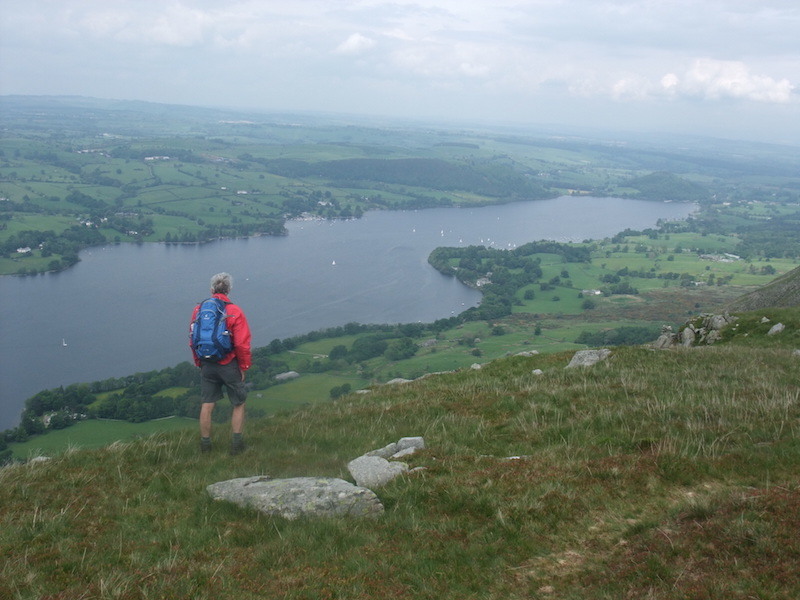 The views of Ullswater are better from this path too. 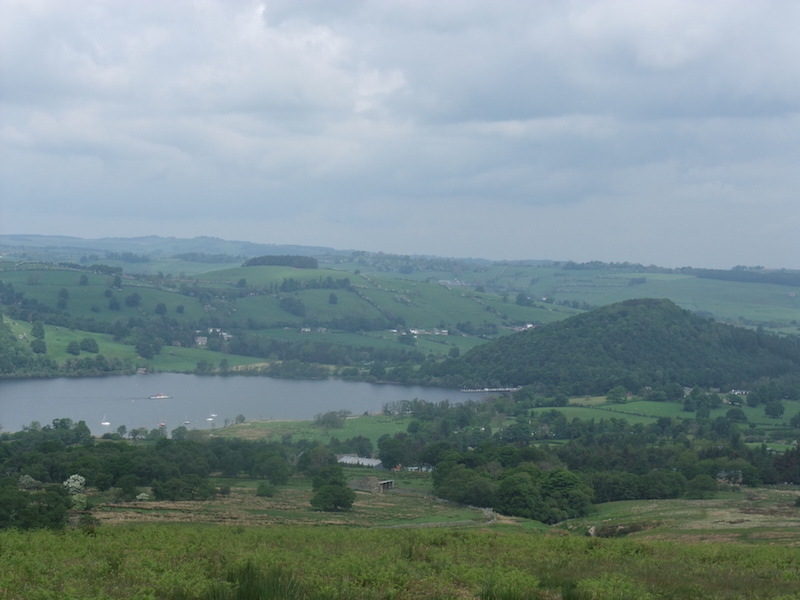 Looking back towards Pooley Bridge jetty which is tucked in at the end of the water, just below the tree covered Dunmallard Hill. 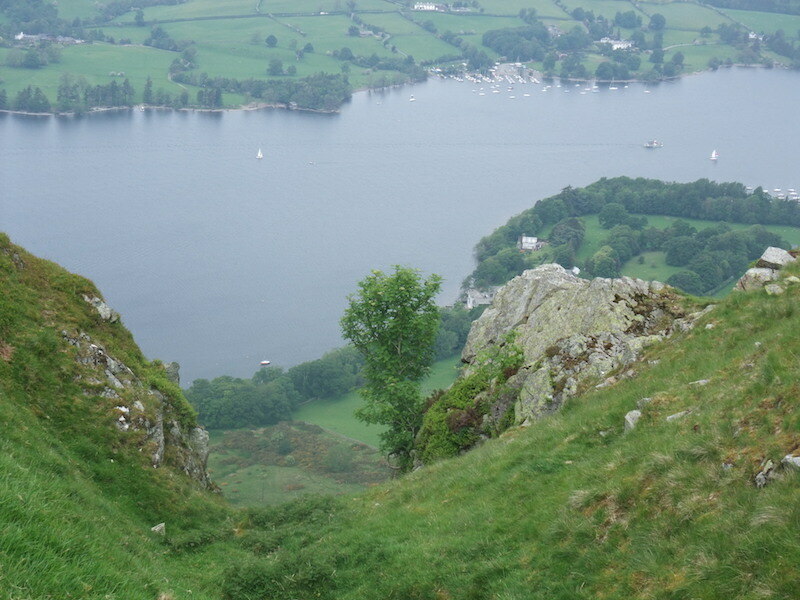 Looking back at Heughscar Hill as we climb out of the dip created by Aik Beck. 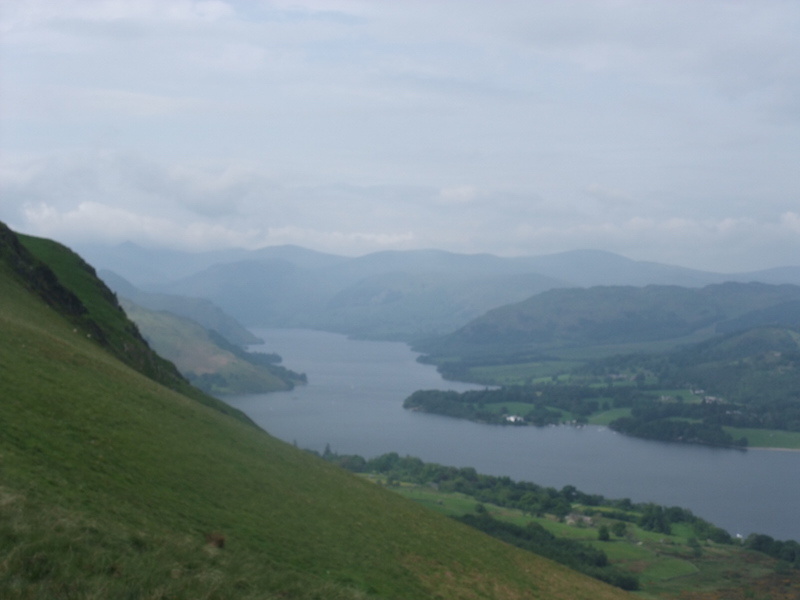 Looking south along Ullswater as we make our way up the path.The fells look to have been given a coat of blue-grey emulsion paint thanks to the hazy conditions. 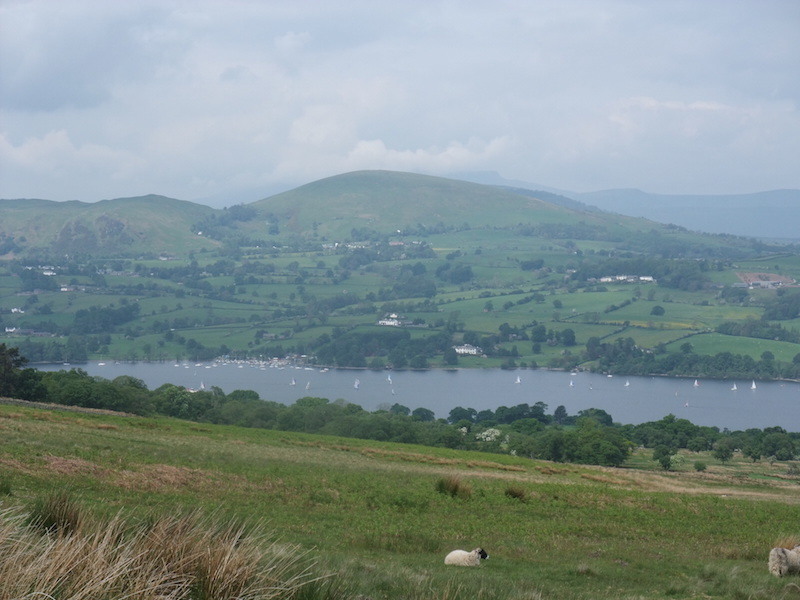 Looking across to Gowbarrow Fell, the one with all the lumps and bumps on the top, and the Dodds beyond it. 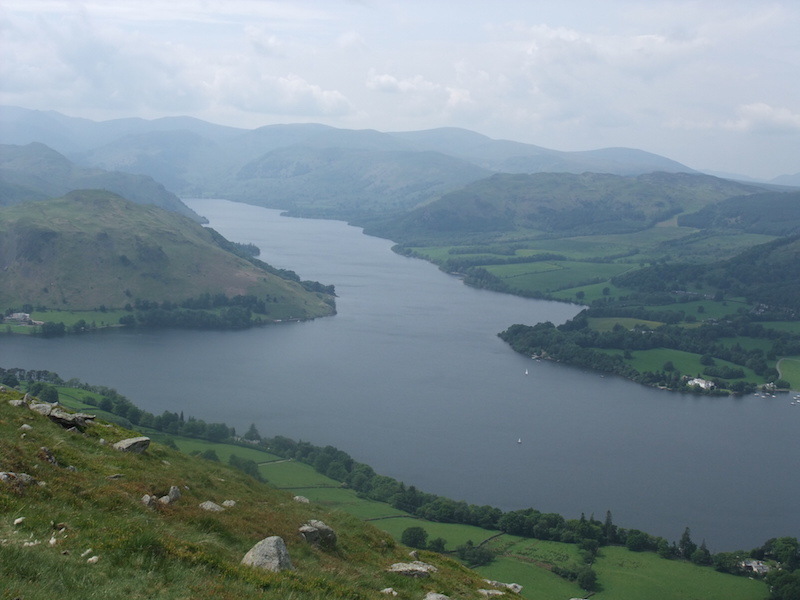 Another view south along Ullswater. I had just taken the previous photo when up popped these two sheep. 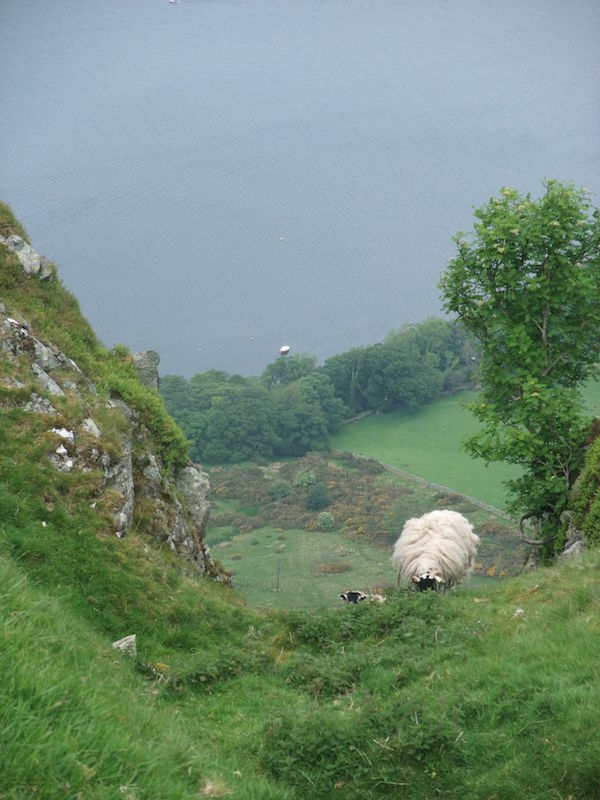 Steep sides don’t deter them, they’ve got their own version of four wheel drive. 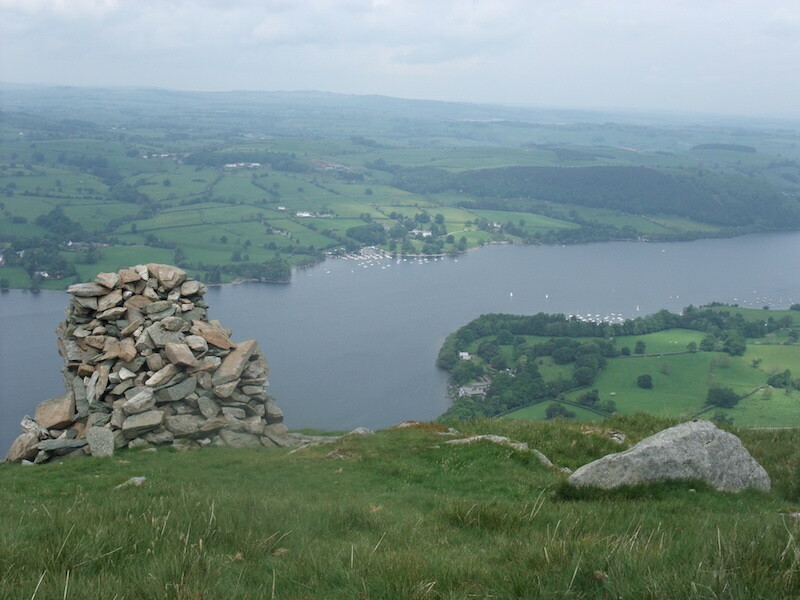 The view across Ullswater from the partially collapsed column which stands a short distance below Arthur’s Pike summit. Another view of the collapsed column. 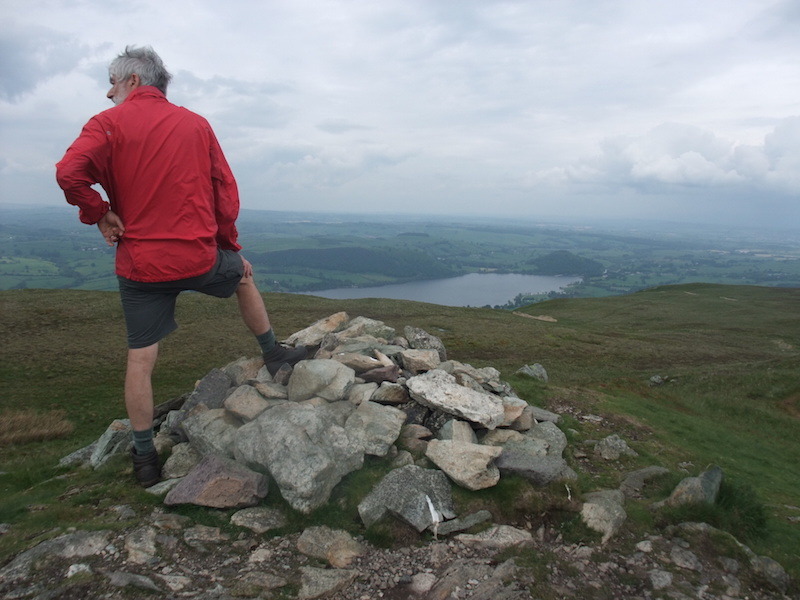 This is the summit cairn on Arthur’s Pike. 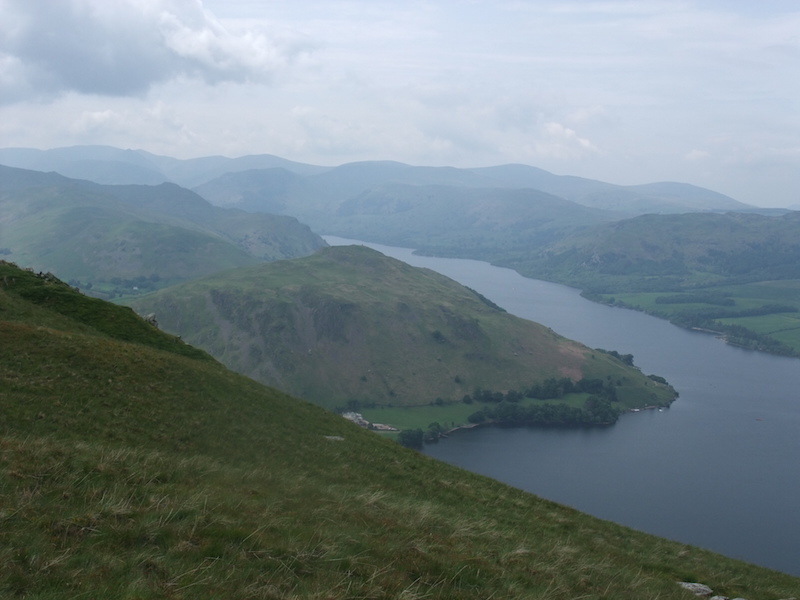 Looking towards Bonscale Pike from Arthur’s Pike. 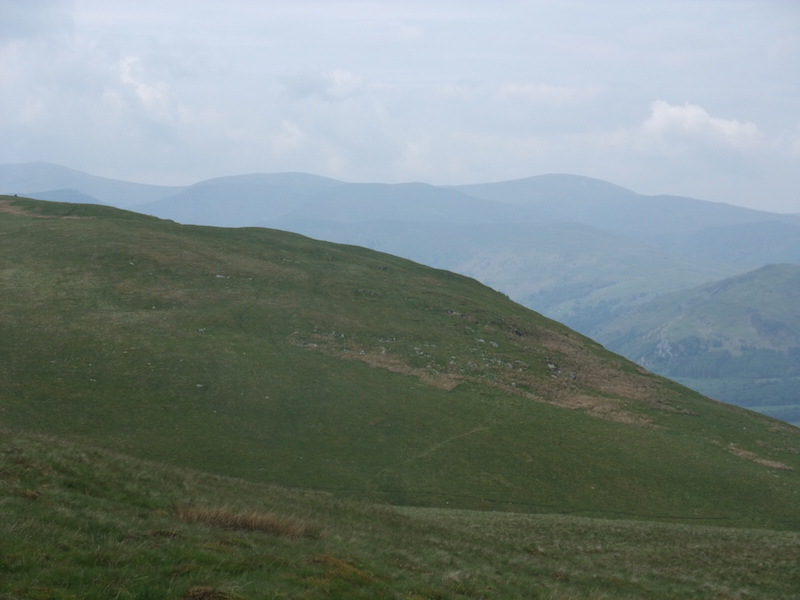 We’ve now got to lose height and then gain it again to reach the top of Bonscale Pike as the two fells are separated by Swarth Beck. 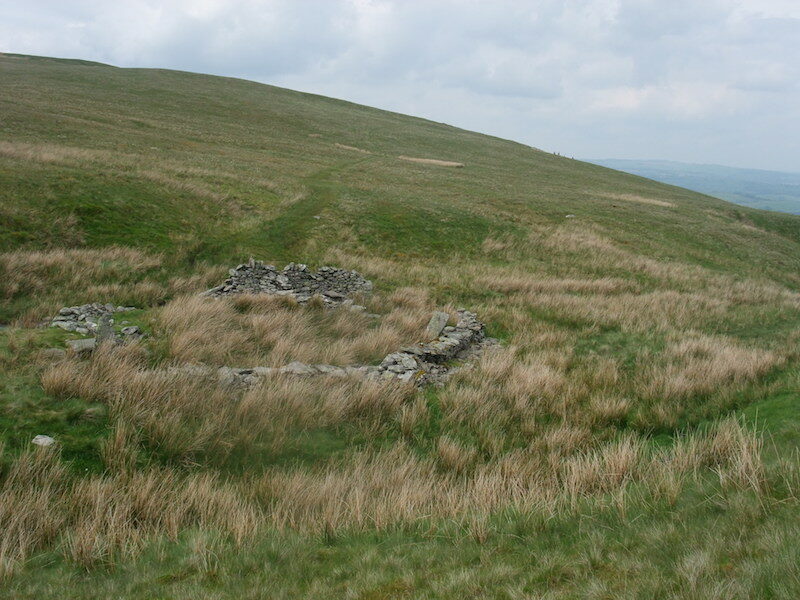 A ruined sheepfold at the Swarth Beck crossing over to Bonscale Pike. Another view of the sheepfold almost hidden by the long grasses, which are rather trying to walk on, and that’s putting it politely. 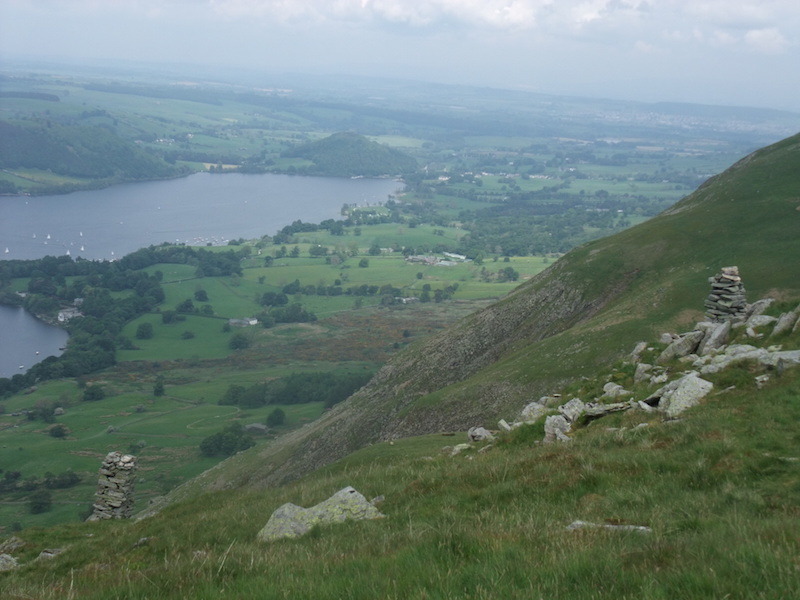 Looking northwards from Bonscale Pike. 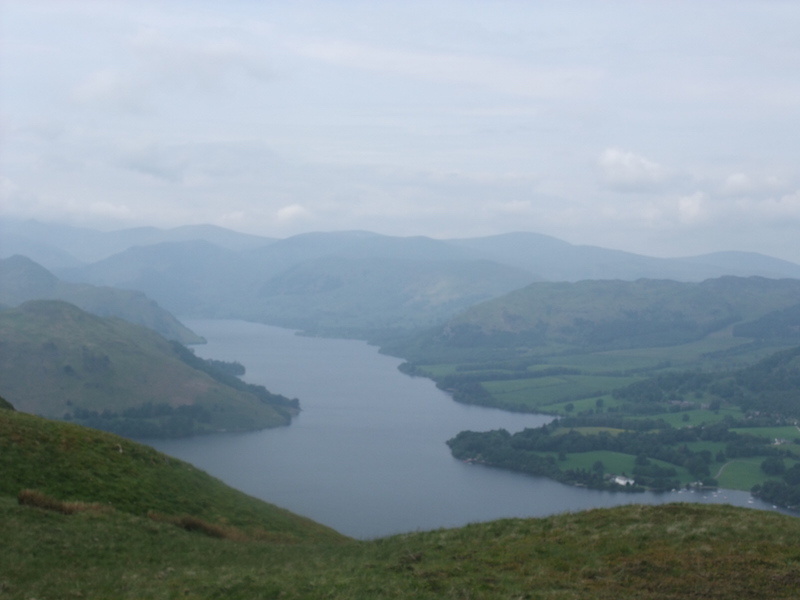 Hallin Fell jutting out into Ullswater. 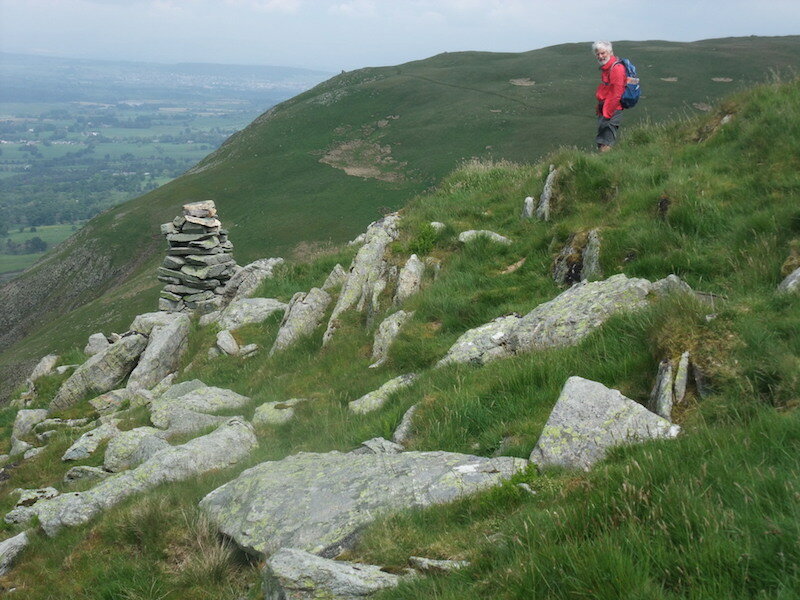 Two of the columns on Bonscale Pike. I think there may have been others in the past but these are all I could find up here, and I wasn’t too keen on going any lower down to look for some more. Viewing one of the columns. 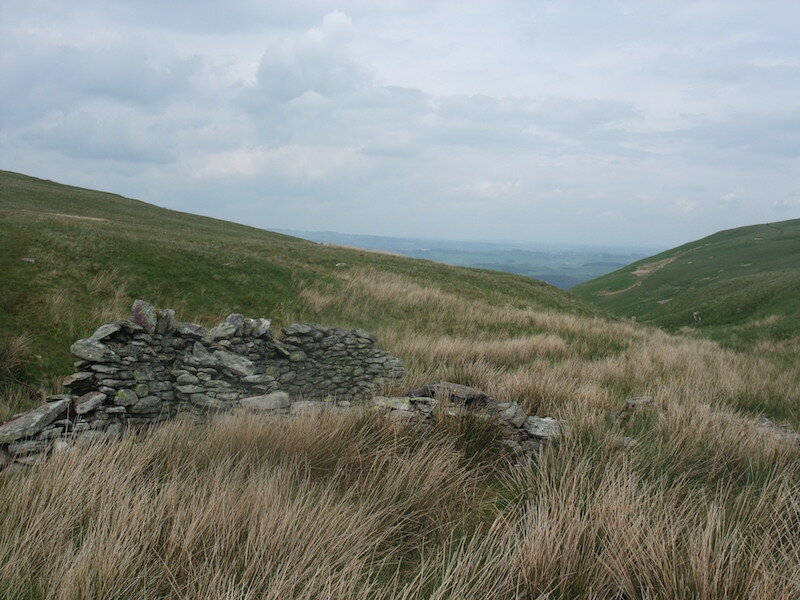 Arthur’s Pike behind with the collapsed column and the summit cairn showing on the skyline. 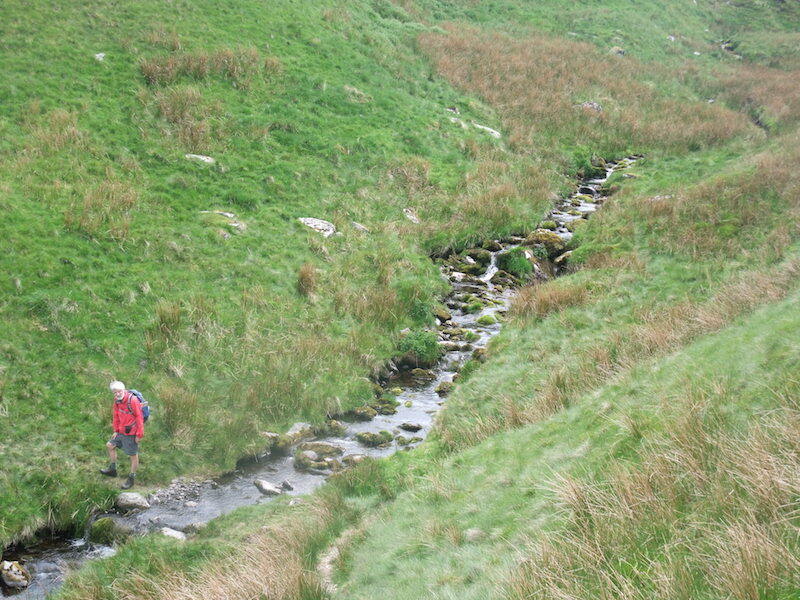 Back down we go and cross Swarth Beck once again. 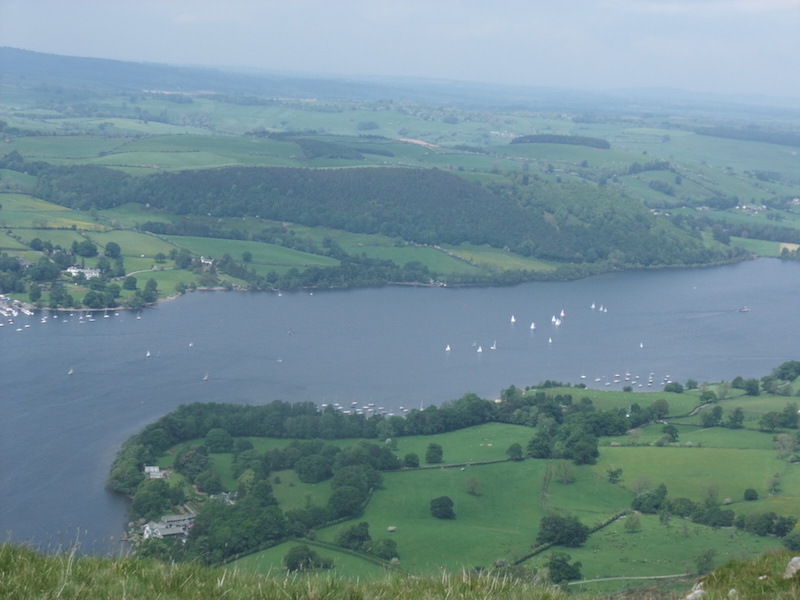 Plenty of sailing going on down there, they must have some sort of breeze but there’s hardly any up here. 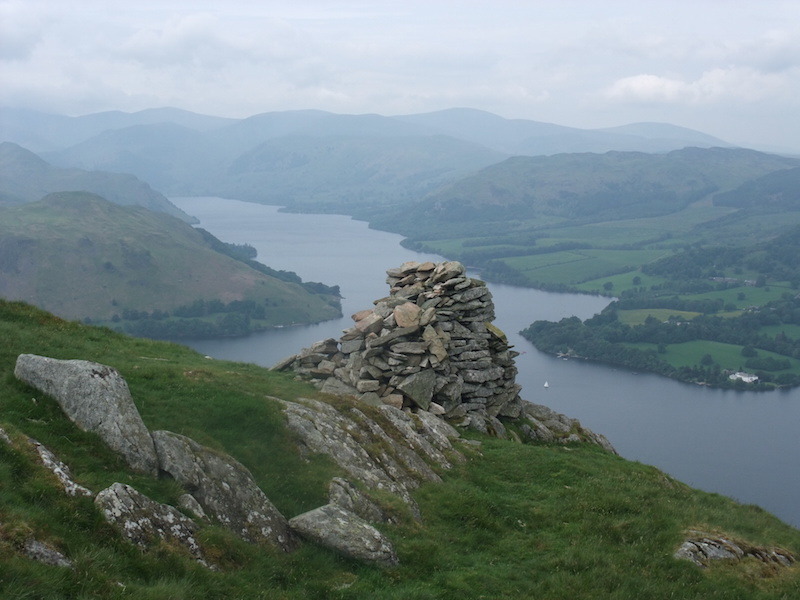 Finally, we’re back at the collapsed column and a last look south along Ullswater before we head back. I’ve only taken a few photos so far today and I decided not to bother taking any more as the conditions seemed to be getting murkier by the minute. We’ll come again on a better day.